Archive Party II sponsorship opportunity announced. 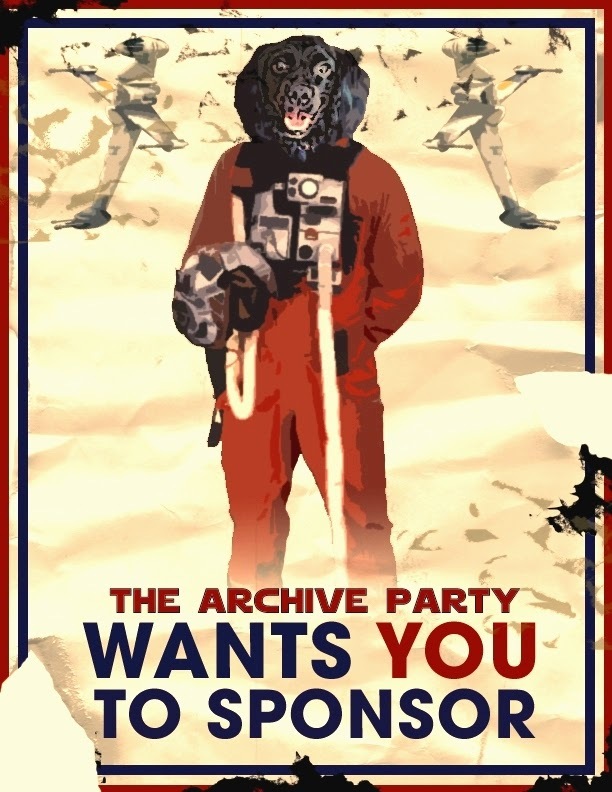 With the second installment of the Archive Party set for the opening night of Celebration (Thursday April 16th, 2015) at the Anaheim Hilton, the time has come to recruit sponsors. So, this is the official call to the collecting community to be a major part of something fun that will support a very good cause. All proceeds beyond the cost of the event will be donated to the Best Friends Animal Society's No Kill Los Angeles Initiative dedicated to finding homes for healthy/treatable animals currently in shelters in the LA area. The first 40 sponsors that submit donations will secure their sponsorship. Donations must be submitted by September 20th, 2014. Send an email to swca.party@gmail.com for additional details if interested. *Sponsors were allowed to split the cost of sponsorship for the first party. This option will be available again, with the understanding that joint-sponsorships will forgo their guest spots and determine amongst themselves how the exclusives will be distributed. The first Archive party was the best part of celebration. If your going to be at celebration Anaheim don't miss it! And sponsoring is a great way to give to a great Charity.